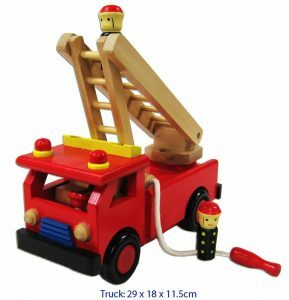 Gorgeous wooden cooking set from Indigo Jamm, would make a lovely addition to your cubby house or play kitchen. Comes complete in box. Suitable for boys and girls – pastel colours. 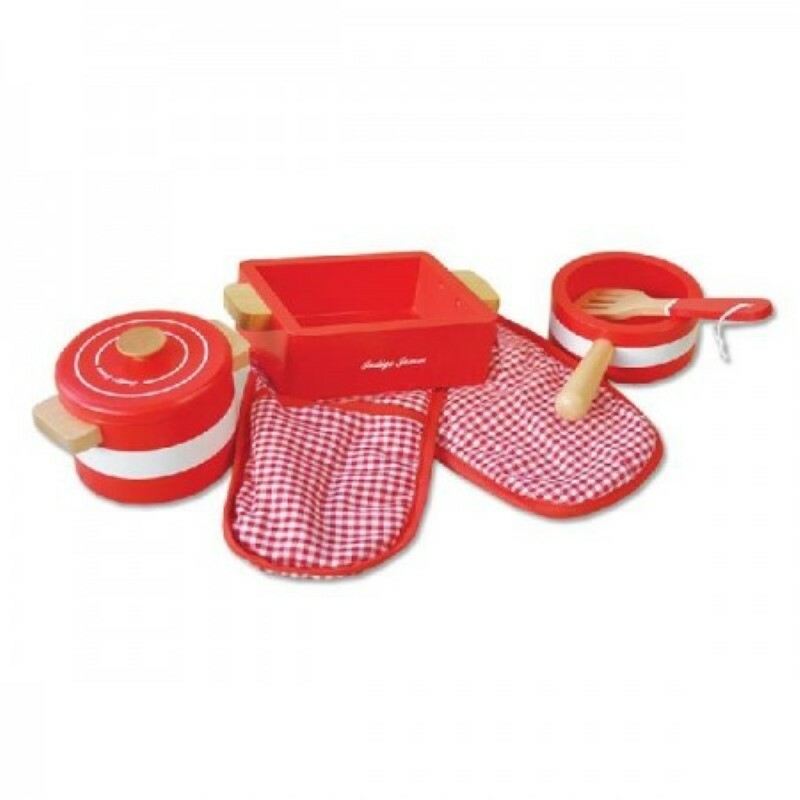 A beautifully designed 5 piece pots ‘n’ pans set, complete with a double oven glove, casserole pot with lid, roasting tray, frying pan and utensil. Please note: box incorrectly states this is a 7 pc set, the set includes the items as shown above. It does not include a fabric chicken.